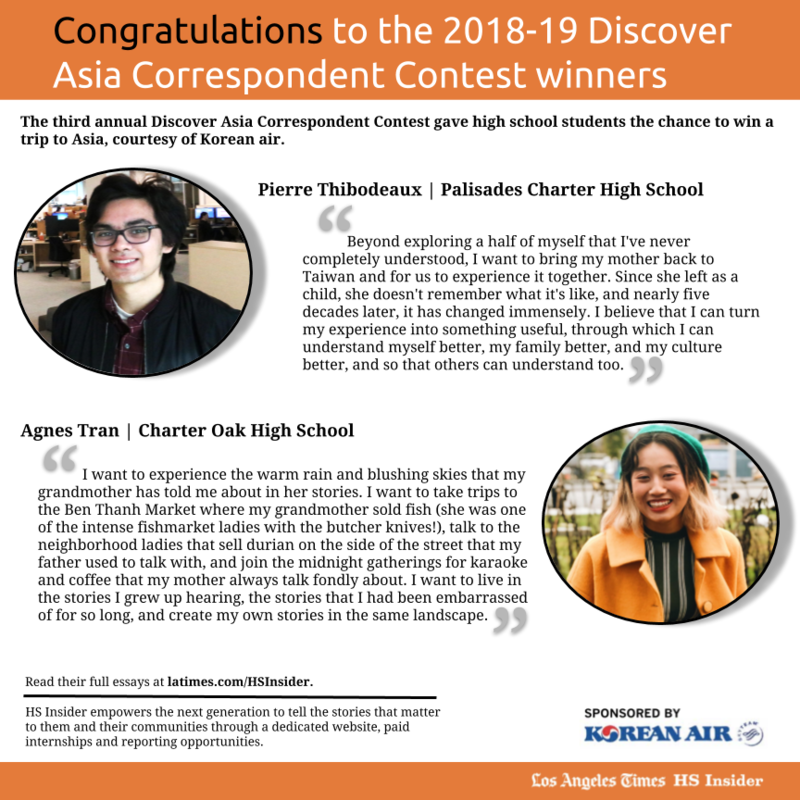 Agnes Tran and Pierre Thibodeaux are the winners of the third annual Discover Asia Correspondent Contest, sponsored by Korean Air. They will each receive an expense-paid five-day, six-night trip courtesy of Korean Air to the destination of their choice in Asia to explore a topic of personal interest. A team of judges who are editors at the L.A. Times selected Agnes and Pierre from about 100 entries representing over 50 high schools. Both students are planning to travel over their spring break. Agnes’ full essay can be found here, and Pierre’s full essay can be found here.